Update: It appears the attack has finished. If it begins again, we’ll update you. We recently discovered a continual SYN flood DDoS attack on Node 8 Phoenix, Arizona. This attack is only affecting the Multicraft daemon itself, and not any Minecraft servers. While this attack goes on, you may be unable to control your server via our control panel; however, your players should be able to connect and play normally. We’ll keep you updated as the situation progresses. Note: Our node status page will show Node 8 AZ as offline – this is incorrect. A maintenance to resolve this issue completely has been scheduled for next Thursday, September 5th at 12AM CDT. A new blog post will be made about this event once we get closer to that night. We recently discovered that Node 13 AZ, a dual E5-2620 system, has a single failed processor; in order to resolve this issue, we’ve taken the node offline and are allowing our datacenter’s NOC to investigate. Once the server is back online and all servers are accessible, we will let you know. [1:45am CDT] Update: The server was brought back online after around 2h to await further actions from the NOC. [10:00am CDT] Update: The NOC has taken the server offline to perform the requested maintenance. [5:25pm CDT] Update: The node is back online and all servers should be accessible again. If you were affected by this downtime, please submit a support ticket to receive compensation. We have scheduled a planned maintenance for September 5th @ 12AM CDT to replace the failed CPU. During this time, your server will be offline for up to 2 hours. (Update) France MySQL services have come back online. It appears the issue was related to network routing and has been resolved. Around 12:30pm CDT, the France SQL server went offline due to unknown reasons. We’re currently working with the datacenter to get it back online as soon as possible. In the meantime, any servers located in France may experience issues with plugins and server instability. Once we have more information, we’ll update this post. As you may know already, Node 3 AU is currently inaccessible again. Unfortunately, as before, we have no control over this and we are at the mercy of our Australian datacenter. 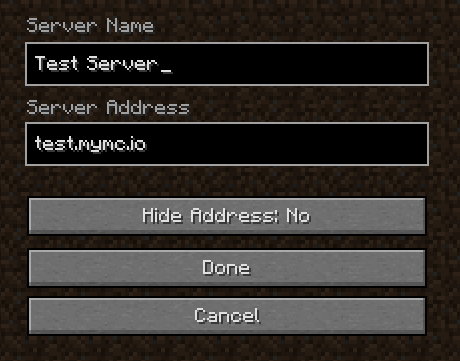 We’re actively working with their team to get the node back online and accessible to everyone, but in the meantime, you may not be able to connect or join your Minecraft server(s). We’re extremely disappointed in the handling of this situation on our datacenter’s side, thus we’re looking into moving over to a different company. We’ll keep everyone updated on the status of this issue, along with any other information that may be of use. As of 3:50AM CDT, we received notification that our Sydney node 3 was down. According to our provider, we received an attack on their business network, thus we were automatically nullrouted. Due to the previous 60+ hours of downtime just a few days ago, we contacted them 10 minutes after the service was taken down to have this resolved immediately. We will have the service brought back online as soon as possible, and some measures to prevent these kinds of issues again will be put into place. Further details will be emailed to those of you on node 3 in Australia. We apologize for the inconvenience, and appreciate the continued patience while we resolve this with our Australian datacenter. Update: As of 5:12 AM CDT, service has been restored. Introducing Custom IPs for your Minecraft Server! Hello! We’re pleased to announce support for custom IPs (subdomains), free with every Minecraft server. Follow the guide below to get started. Step 1: Head over to your services page in the billing area. Step 3: Select whichever subdomain you want to edit… then hit ‘Create’ or ‘Edit’! Step 4: Select the text box and type in a name! Step 6: Just copy that custom IP into Minecraft! Let us know if you have any trouble, or if you have any suggestions / feedback! After over 24 hours of downtime so far, we’re still working to get the node back online. Our datacenter cut off international access to the system after they detected a DDoS attack. We’re actively working with them to get your servers up and running again. If you’re affected, please submit a support ticket and we’ll notify you as soon as we have updated information. Once we get the system back online, we will be compensating all affected customers. Update: Node 3 AU is currently accessible again. If you still have trouble connecting, please submit a support ticket.